Aria Code is a podcast that pulls back the curtain on some of the most famous arias in opera history, with insight from the biggest voices of our time, including Plácido Domingo, Diana Damrau, Sondra Radvanovsky, and many others. Hosted by Grammy Award-winner and MacArthur “Genius” Fellow Rhiannon Giddens, Aria Code is produced in partnership with The Metropolitan Opera. Each episode dives into one aria — a feature for a single singer — and explores how and why these brief musical moments have imprinted themselves in our collective consciousness and what it takes to stand on the Met stage and sing them. A wealth of guests—from artists like Rufus Wainwright and Ruben Santiago-Hudson to non-musicians like biological anthropologist Dr. Helen Fisher and Dr. Brooke Magnanti, author of The Intimate Adventures of a London Call Girl—join Rhiannon and the Met Opera’s singers to understand why these arias touch us at such a human level, well over a century after they were written. Each episode ends with the aria, uninterrupted and in full, recorded from the Met Opera stage. 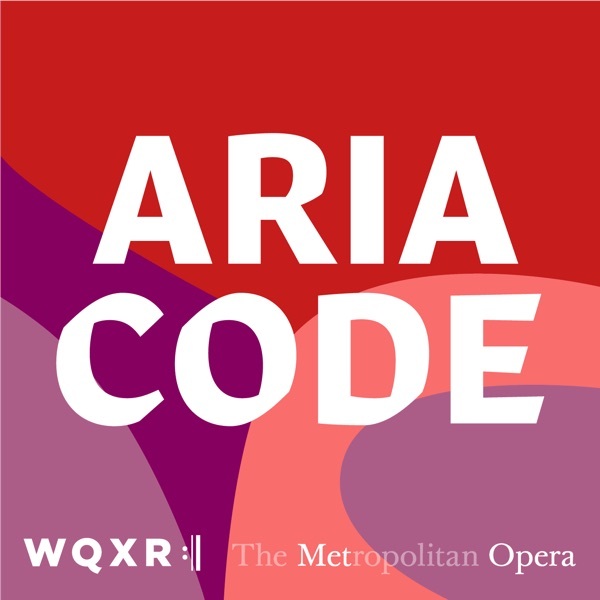 Aria Code is produced in partnership with WQXR, The Metropolitan Opera and WNYC Studios. Massenet's Werther: You've Got Mail! Puccini's La Boheme: Is Love at First Sight Really a Thing?